A lesson fromMichael Crick of Channel 4 News on how to interview a politician? "What did you do to help the release of Nelson Mandela?" Having endured a day of intense scrutiny from the media, Theresa May was last night forced to defend her record on South African apartheid ahead of a visit to Nelson Mandela's cell on Robben Island. Channel 4 news reporter Michael Crick used the opportunity of a one-on-one interview to question the prime minister about what she had done to oppose racial segregation in South Africa, which was only ended in the country in the early 90s. During the two-minute grilling, May was repeatedly interrupted and refused to give a straight answer to the journalist's line of questioning, although she admitted that she had not personally taken part in protests against South Africa's white-only regime. "You were active in politics in the 70s and 80s, what did you do to help release Nelson Mandela?" Crick asked. May responded: "I think what is important is what the United Kingdon-" But Crick interrupted the prime minister, repeating: "No, what did you do? Did you go on protests? Did you get arrested outside the embassy? Did you boycott South African goods? Did you do anything?" She replied: "I think you know full well, Michael, that I didn't go on protests. But what is important is the work that -"
"The work that the United Kingdom government did to ensure that it did give support where that support was needed." Although not a member of parliament until 1997, Theresa May was an active Conservative politician and party member during the 1980s and served as a councillor for London Borough of Merton from 1986 to 1994. Margaret Thatcher attracted criticism during her premiership of the country in the 80s for dismissing the then incarcerated Nelson Mandela as "a terrorist". Following the end of his 18-year imprisonment, Mandela would go on to become President of South Africa from 1994 to 1999. 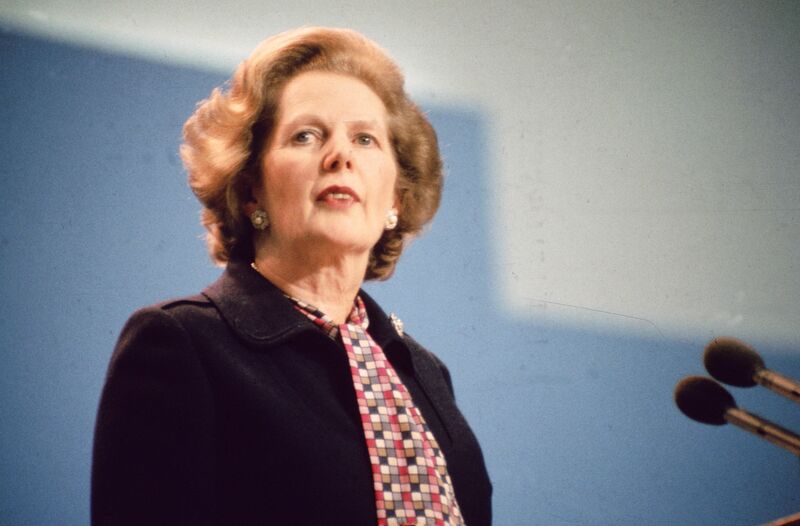 Turning to the record of the Tory government at the time, Crick asked: "Hang on a minute at that stage Mrs Thatcher believed that Nelson Mandela was a terrorist. Were you a loyal Conservative member, did you think the same thing?" May responded: "What was important was the support that the government was giving at the time, often support behind the scenes to ensure that we saw the result that we did in relation to the ending of apartheid here in South Africa." Theresa May later visited the deceased former South African president's cell on Robben Island. Upon leaving the island, she wrote in the visitor book: "It has been a privilege to visit in this year - the 100th anniversary of the birth of Nelson Mandela. His legacy lives on in the hopes and dreams of young people here in South Africa and around the world." When Michael Crick was a young reporter in the early days of Channel 4 News, he interviewed me. But not in the way he did here with Mrs May because, unlike a lot of TV interviewers (e.g. John Humphrys) he understood the difference between an interview to obtain facts from an expert and an interview to put the interviewee under pressure. So he doesn't always interrupt the interviewee in mid-answer as a matter of course (like John Humphrys) but only does so when his question is being as blatantly avoided as is done by the Prime Minister in this particular interview. I have no idea why he resigned as political editor of BBC 2's Newsnight, but thought it a damaging loss to the BBC that he went back to Channel 4 News, were he started his TV career. Crick is one of the reasons why so many of us believe that Channel 4 News is by far the best news programme on British television. I can't remember the last time an England cricket captain won the toss, put the other side in to bat and led his team to victory in a home test match. I do remember groaning whenever I've heard that he's decided to field first, as happened when Joe Root did it against the best batting side in the world. "When you win the toss – BAT. If you are in doubt, think about it, then BAT. If you have very big doubts, consult a colleague – then BAT." Every day, we hear of yet another reason to get worried about our mental health and about whether or not we are suffering from a mental illness without realising it. The media's covering far more about it than ever before. 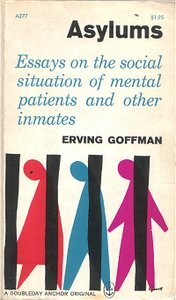 Writers like Erving Goffman and R.D. Laing (1967) were writing books that questioned what were then common definitions of mental health and illness – long before the 1975 film One Flew Over the Cuckoo's Nest or my own 1978 book Discovering Suicide'. What these had in common was that they not only questioned the way mental health and illness were defined, but were also critical of psychiatrists and the way they (and their associated staff) treated and managed patients suffering from the 'illness'. In the 1960s and 1970s, sociologists and others were arguing that using a medical model to define and explain different forms of deviant behaviour (like delinquency, crime, alcoholism, mental illness, suicide, etc.) was a convenient way of defending and preserving the status quo. After all, if these were illnesses, society could hardly be blamed for causing them. So in that sense, medicalisation involved adopting an essentially conservative model of social problems. While doing a PhD on suicide in the late 1960s and early 70s, I came into contact with quite a lot of psychiatrists, some of whom were working in mental hospitals, and others working in research units. What surprised me then (and still surprises me today) was how quickly they became qualified in their chosen specialism: after graduating in medicine, it only took one postgraduate year to qualify in psychiatry - which involved spending relatively little time learning about social and psychological factors compared with time spent learning about what drugs should be used to treat which types of mental illness. As for defining types of mental illness, that was a blurred issue for psychiatry. Don't expect much clarity when it comes to questions like what's the difference between neurosis and psychosis, what do schizophrenic and paranoid mean, why is something that used to be called manic-depression now called bi-polar disorder? Perhaps the biggest weakness of psychiatry is that (unlike cardiology, oncology or brain surgery) it lacks a killer disease that its specialists can actually cure. Other weaknesses will be discussed in later blogs. Has the WHO given psychiatry scientific respectability? Writers like Erving Goffman and R.D. Laing were writing books that questioned what were then common definitions of mental health and illness – long before the 1975 film One Flew Over the Cuckoo's Nest or my own 1978 book Discovering Suicide'.